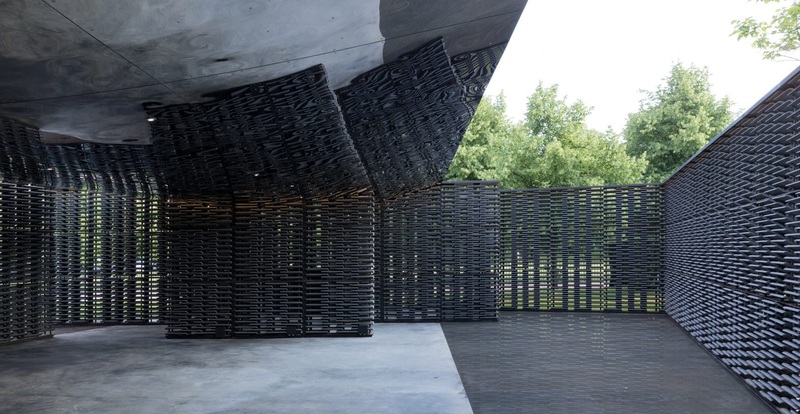 British-made materials are used in the Pavilion’s construction, chosen for their dark colours and textured surfaces. 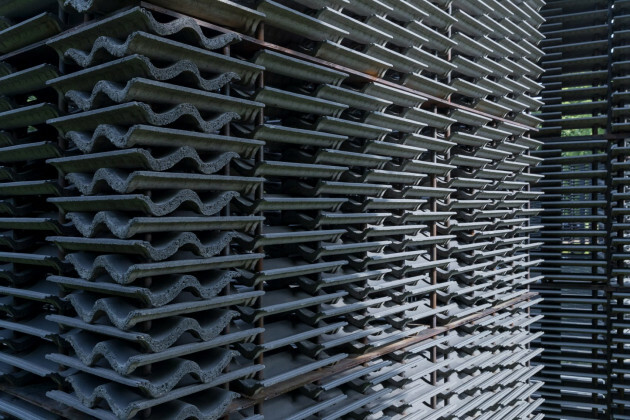 A celosia – a traditional breeze wall also common to Mexican architecture – has been composed of a lattice of cement roof tiles that diffuse the view out into the park, transforming it into a vibrant blur of greens and blues from within. Two reflecting elements emphasise the movement of light and shadow inside the Pavilion over the course of the day. 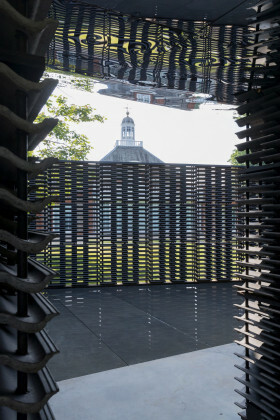 The curved underside of the canopy is clad with mirrored panels, and a triangular pool cast into the Pavilion floor trace its boundary directly beneath the edge of the roof, along the north axis of the Meridian. As the sun moves across the sky, reflected and refracted by these features, visitors may feel a heightened awareness of time spent in play, improvisation and contemplation over the summer months. 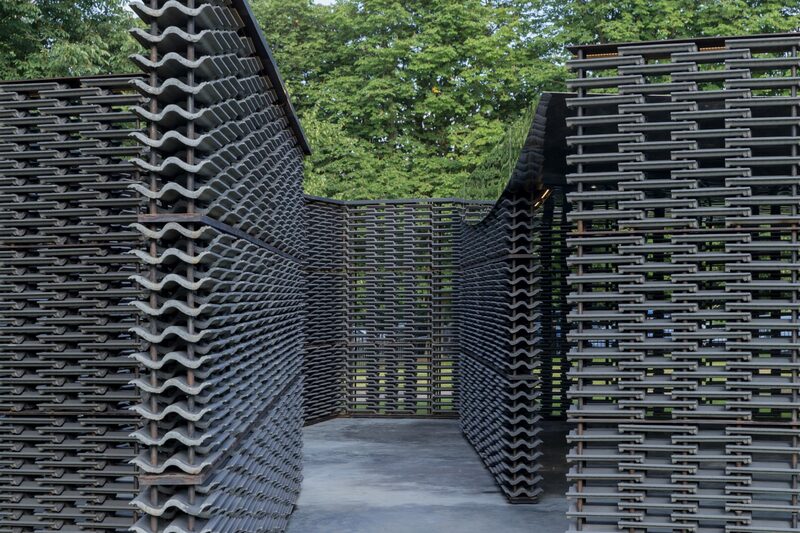 "The design for the Serpentine Pavilion 2018 is a meeting of material and historical inspirations inseparable from the city of London itself and an idea which has been central to our practice from the beginning: the expression of time in architecture through inventive use of everyday materials and simple forms," a statement by the architect explains the pavilion. "For the Serpentine Pavilion, we have added the materials of light and shadow, reflection and refraction, turning the building into a timepiece that charts the passage of the day." 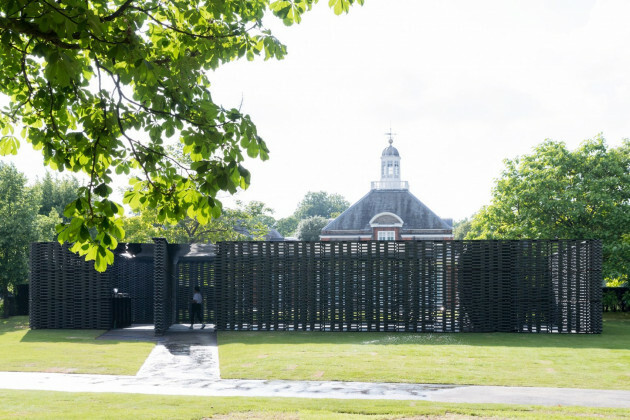 Escobedo is the 18th and youngest architect who accepted the invitation to design a temporary Pavilion on the Serpentine Gallery lawn in Kensington Gardens. This pioneering commission, which began in 2000 with Zaha Hadid, has presented the first UK buildings of some of the biggest names in international architecture. 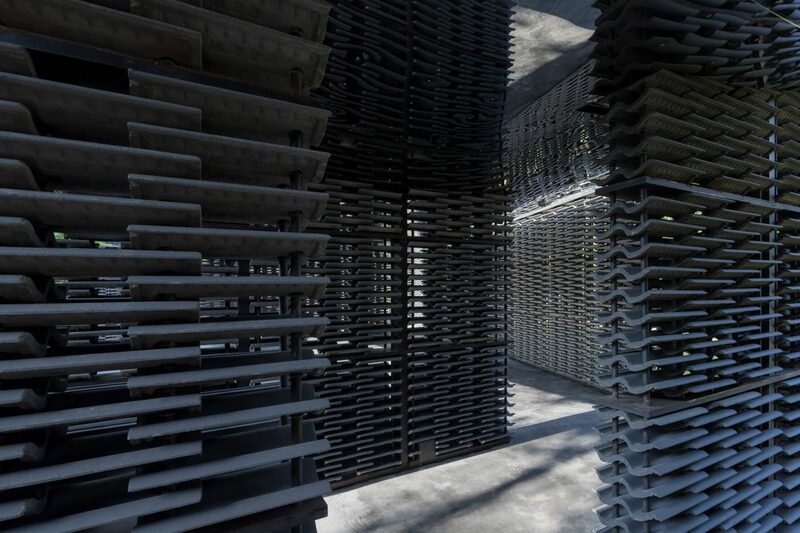 In recent years, it has grown into a hotly anticipated showcase for emerging talent, from Sou Fujimoto of Japan to selgascano of Spain and Bjarke Ingels of Denmark. Serpentine Galleries Artistic Director Hans Ulrich Obrist and CEO Yana Peel selected this year’s architect, with advisors David Adjaye and Richard Rogers.